Welcome to the Vine for 2019! 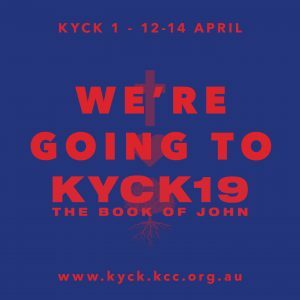 KYCK (Katoomba Youth Convention) is a gathering of a few thousand high schoolers on the first weekend of the holidays! We’ll be going to main sessions that include singing, hearing talks on John, we’ll be ‘indoor camping’ together onsite, and there’ll be heaps of fun. Spots are limited, more details and register, click here. 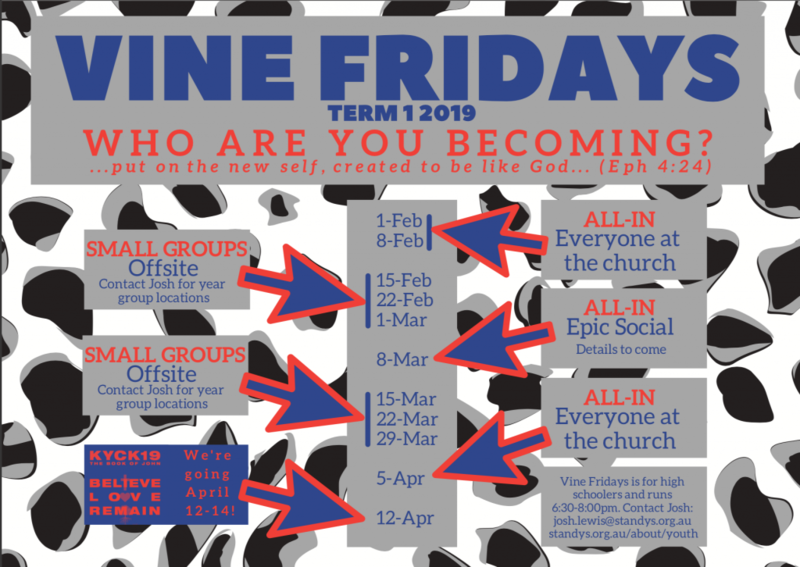 On Fridays, the Vine (for high schoolers) predominantly meet as small groups in separate locations. Each of these groups has a key leader, and meeting separately allows them to do tailored activities and Bible studies, grow stronger relationships in the small group, and provide an easy place to invite friends. The first and last weeks of each term, and often one week in the middle, will be ‘All- In’ nights, where the whole youth group. In term 1, we’ll be using Bible study material called ‘Engage’; we’re up to Issue #2. It has daily studies that can be used throughout the week, and when we meet we’ll discuss the day’s study, as well as debrief on the past week. These books will cost $6 each, and we’ll collect money at the start of each term. 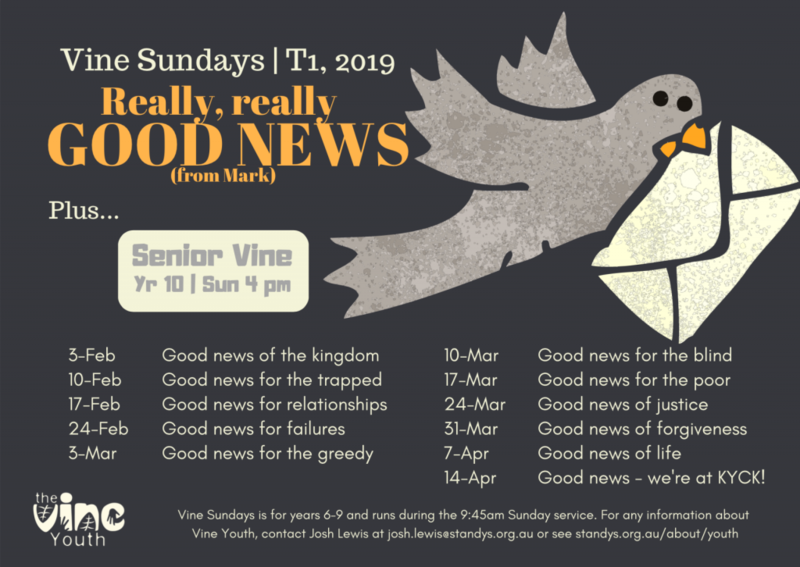 On Sundays, at the same time as morning church, the Vine (years 6-9) will meet at Prouille Primary School (across the road from church). This will essentially be a church service for youth – we’ll pray, sing and hear a Bible talk. We’ll have morning tea together, before returning across to the church building. In term 1, we’ll be looking at Jesus in Mark’s gospel. 1 group for Year 6 boys + 1 group for Year 6 girls = Club 66. Food, activities, friends and learning about God. STAMPEDE (St Andrew’s Youth Camp for high schoolers + year 6) – 27th-30th Sept. This year we’re extending our time up at Lake Macquarie by about a day, so Stampede will run Friday arvo – Monday arvo on the first week of the spring school holidays. The cost will be approx. $200.